Burger places are a dime a dozen these days and it can be hard to differentiate one from another. Each try to bring something different to the table, be it a quirky theme or a unique menu option to stand out from the crowd. 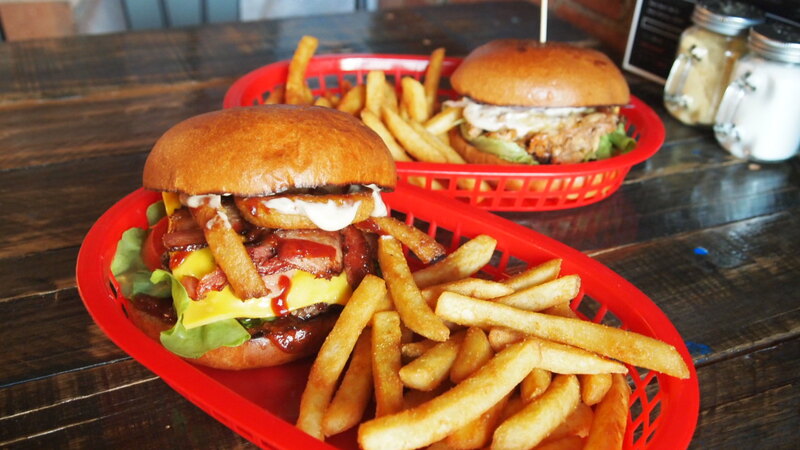 Burger Kitchen located across the road from Moonee Ponds station, is no exception to the rule. 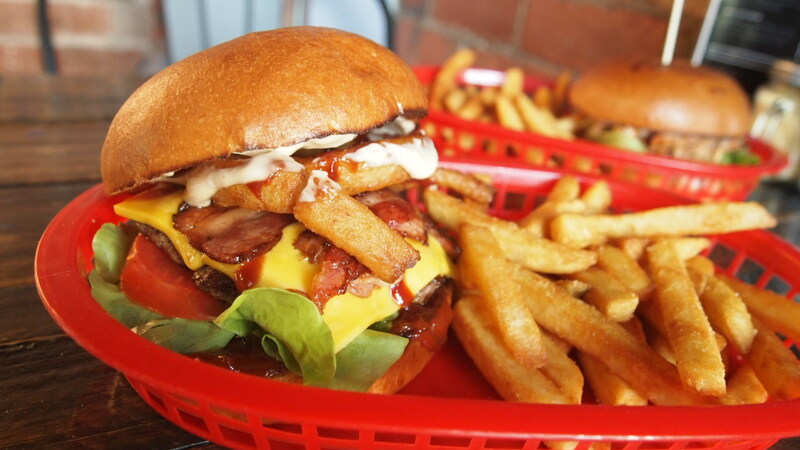 Here it’s all about creating your own customised burger, then teaming it up with a side of their signature waffle fries. Pick everything from the type of bread (brioche or sourdough), meat (beef or chicken) and a variety of fillings from their extensive list, which includes a few fancier options like onion rings, mac n cheese and even a potato rosti. If a custom burger requires too many decisions and you’re not up to it, they also offer a decent list of classic and gourmet burgers which include everything from a classic cheese burger to their ‘Black Maple’ burger which includes chicken, maple bacon and maple mayo amongst other ingredients, all served on a black brioche bun. I have to admit, this was the first time in a little while that a burger menu really appealed to me. Every option looks really appetising making ordering just one a rather difficult task. In the end, there was one burger, the Barrel Jnr, that ticked all of my boxes. 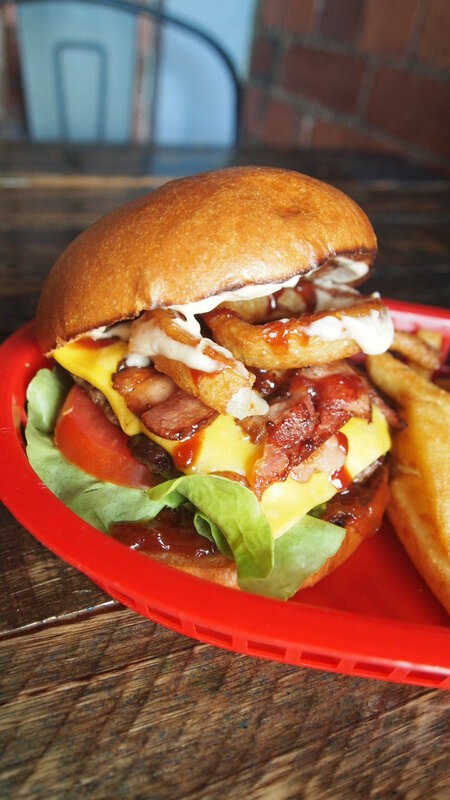 Beef patty, bacon, cheese, lettuce, tomato and onion rings, with bush chutney, aioli and smokey BBQ sauce – everything a good burger should have and it didn’t disappoint. I’d have to say this was one of the most enjoyable burgers I’ve had in a while. The beef patty was juicy and well seasoned, the bacon crisp and slightly caramelised, whilst melted cheese bound together the fresh and cooked elements. Onion rings replaced the classic cooked onion, a substitution that can be risky, but in this case they nailed it. The onions were delicious. 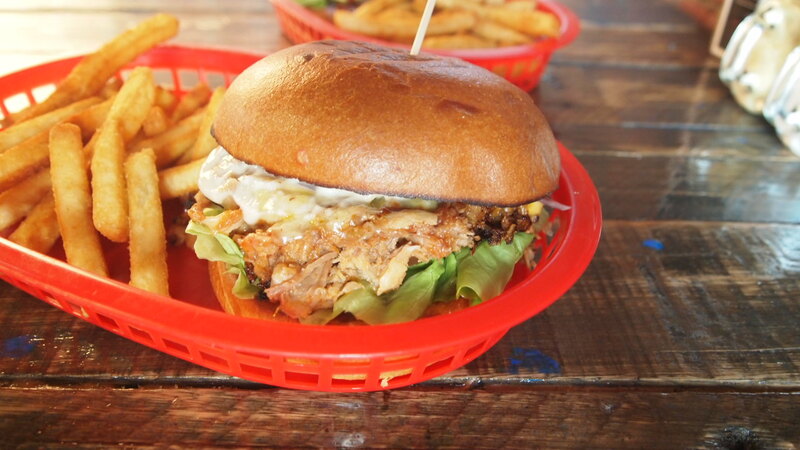 Top it all off with a great array of sauces and this burger was pretty awesome. The only negative was the side of fries, not because they were bad, but because they weren’t their signature waffle fries I’d heard so much about. Unfortunately I was advised they had sold out at the time of placing our order, so standard fries it was, however we’ll have to go back to give them a crack. For the bargain hunters out there, you can currently pick up great value discount vouchers for Burger Kitchen on Living Social and GroupOn. Make the most of them while they’re still available for a good feed on the cheap. This is not in anyway a sponsored post, just sharing the love to my followers.